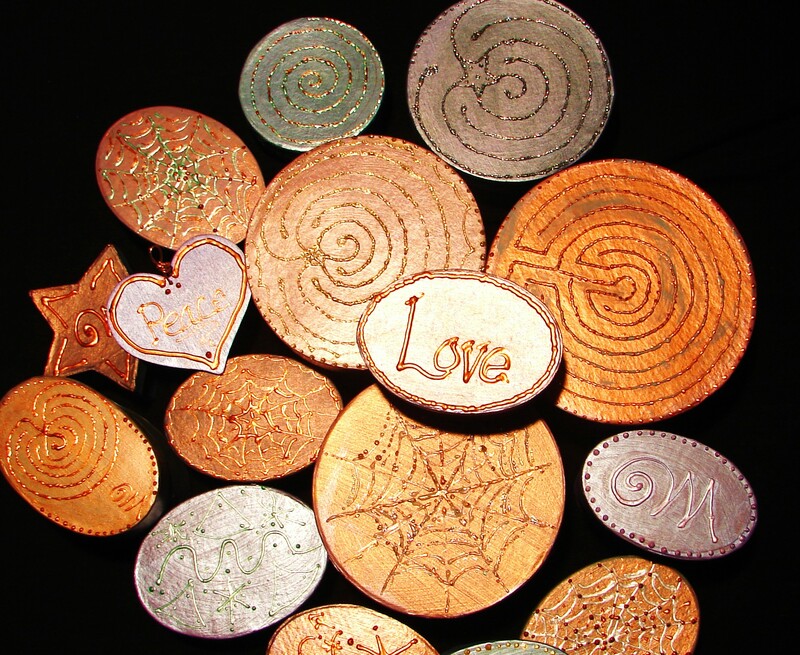 ACCESS THE ENERGY OF THE LABYRINTH ANY TIME: RAIN, SNOW OR SHINE! Multi-colored, multi-dimensional mini labyrinths embellish the tops of a variety of paper mache' boxes. Raised metallic lines define the paths of each labyrinth design. or choose from our collection of original designs. and laminated to protect it during use. Everything you need to start the journey! A little paper finger labyrinth, simple guided meditation, labyrinth info, dried white sage to assist you to clear your sacred space and a small package of hand-picked tumbled chakra stones, which have been cleared and 'proofed' at the center of our 5-path star labyrinth. 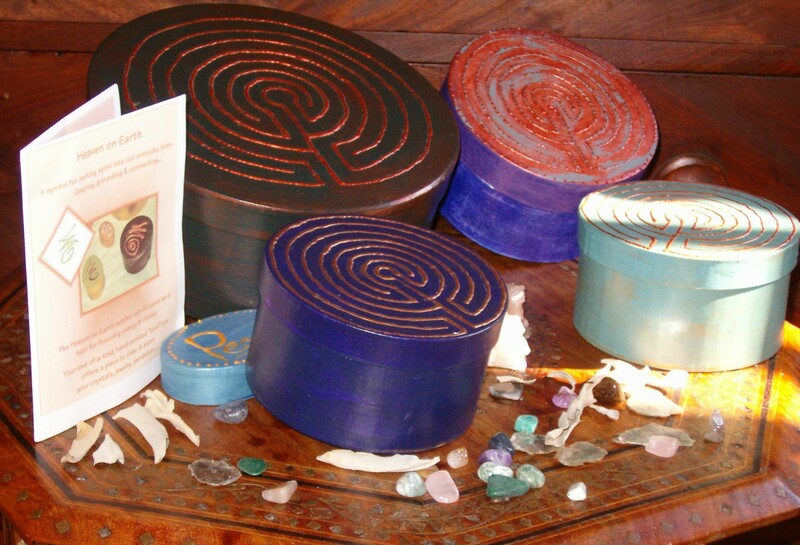 For more info about the process of using this kit or doing any meditation with your labyrinth... mini, paper, full-size... please visit our MEDITATION PAGE! At catalog is in process listing available sizes, shapes, designs, colors, etc. Standard in stock boxes range from $12. to $85. . Shipping and handling vary with box size. Each box is wrapped in tissue, bubble plastic and sent via 2-3 day priority mail.